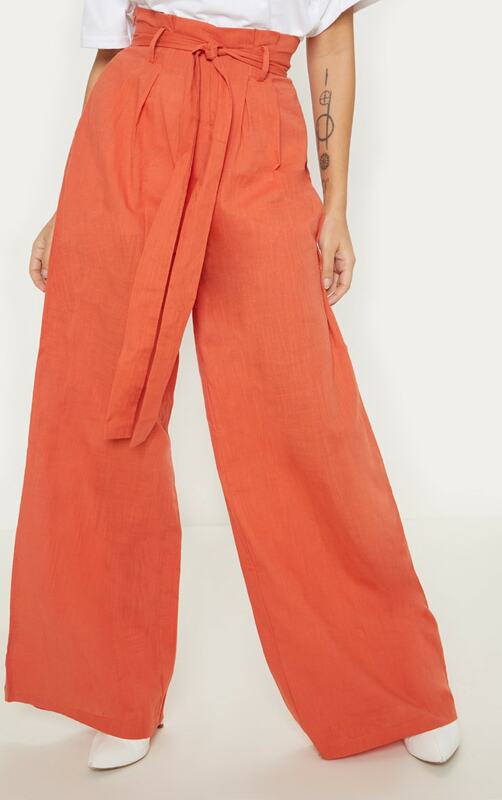 these versatile pants are perfect for dressing up or down. 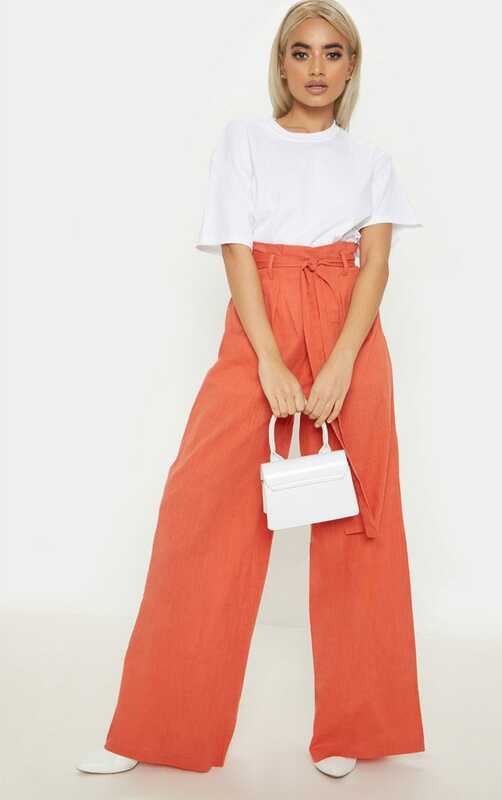 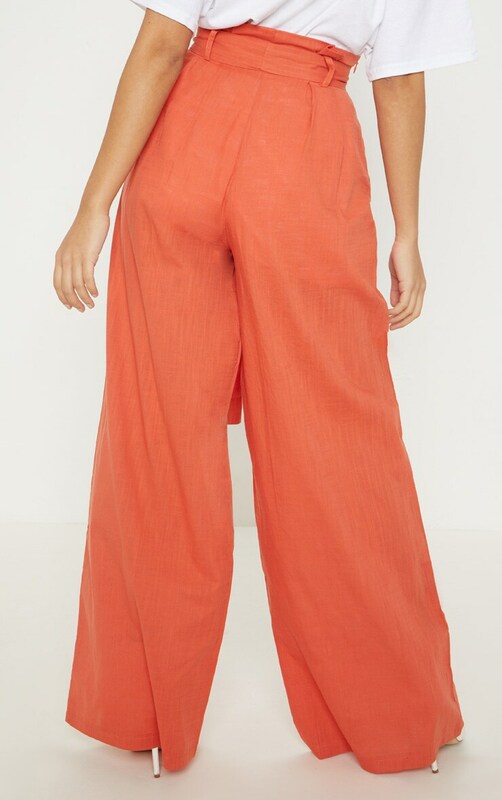 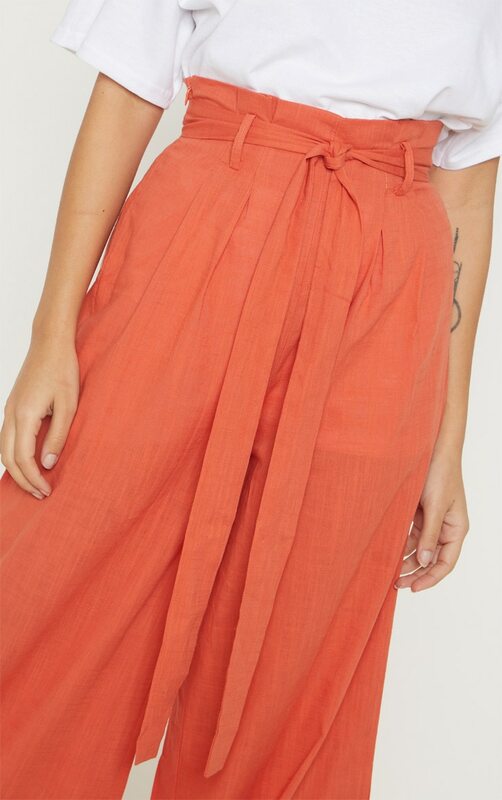 Featuring a rust material with a paperbag waist and a wide-leg fit. 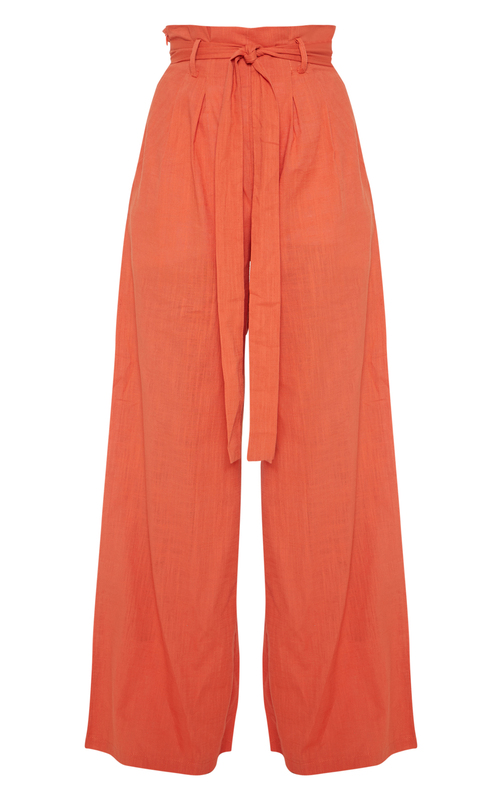 Team these with a simple tee and heeled boots for an off-duty look we are loving.